Join us for an amazing afternoon snorkeling in La Jolla shores. Our expert snorkel guides ensure your comfort while also showing you all the amazing animals in our oceans. After a briefing on equipment and techniques, we provide you with all necessary gear: a wetsuit to keep you warm, a mask for you to see, a snorkel to breathe underwater, and fins to kick around. If you can confidently swim but have never snorkeled before, this is a great introductory experience. 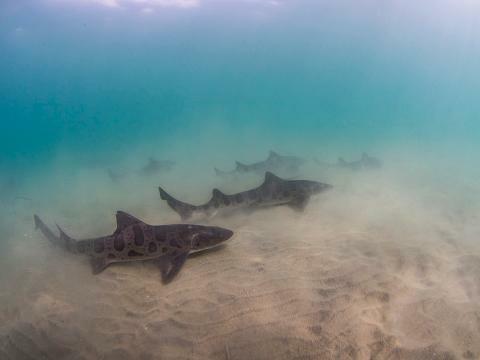 During the summer months from late May to September, La Jolla is lucky enough to become home to the largest colony of leopard sharks in Southern California! The warm water brings in hundreds of harmless leopard sharks to the shallow depths from 3-10 feet – perfect snorkeling depth. The leopard sharks range in size from 3-5 feet, and are completely harmless to humans, feeding primarily on bivalves and crustaceans along the ocean floor. 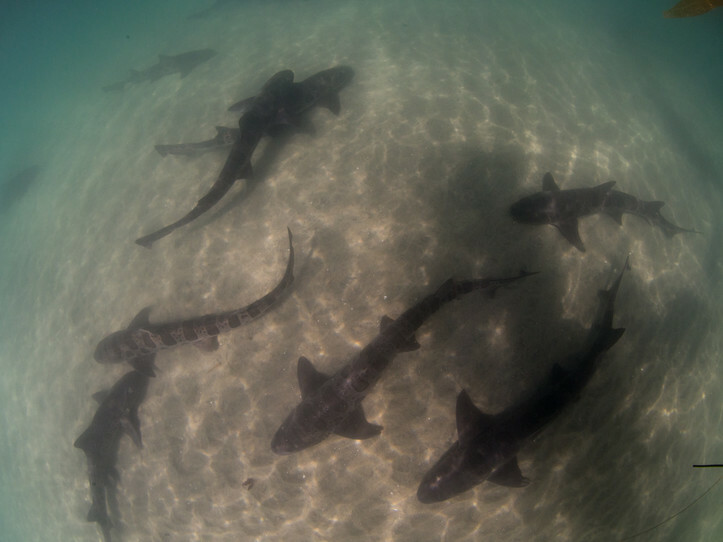 Interestingly, every leopard shark we see in La Jolla is female and pregnant. 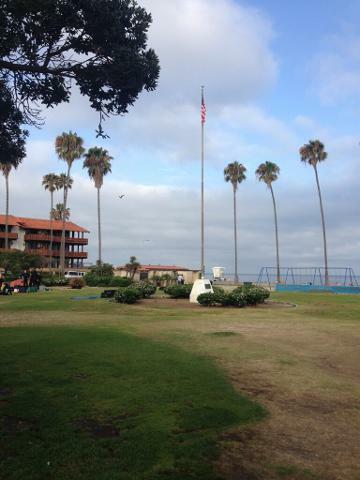 While snorkeling just south of La Jolla Shores, it’s also common to see bat rays and peculiar guitarfish!